Are You Interested in family genealogy and early New England? For those interested in family genealogy and early New England, this unique book is about saints, solid citizens, and scoundrels, all members of this one family with a recorded history of as many as Twelve Generations. It starts with Deacon James Langley, the progenitor of the Langley & Longley Family, who was recorded in Dover, N.H. as early as 1700 when he married "the saintly," Mary Reynolds. It chronicles their eight children and most of their known descendants into the 1900s. Those profiled include a Titanic survivor, State and Local Politicians, a Founder of the University of New Hampshire, a U.S. Ambassador, lawyers, judges, physicians, teachers, preachers (including one of-the-cloth who was a wolf-in-sheep's clothing), and a "ponzi scheming financial swindler." But the vast majority of the family worked as honorable husbandmen and yeomen citizens, factory owners and workers, and shop keepers. 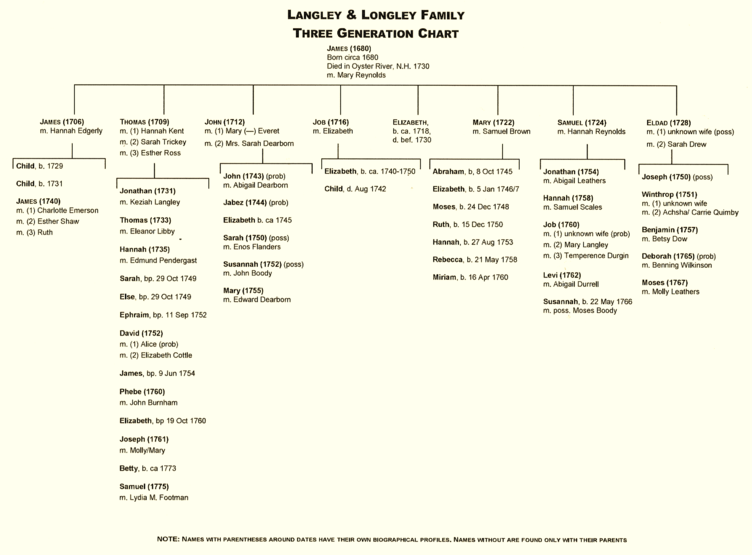 Any Langley or Longley descendant of James alive during the 18th or 19th century is likely included in this genealogy. This book offers over 400 profiles with citations for every recorded event, and more than 100 photos including early signatures from petitions and court records. The index has over 6,500 Langley, Longley and allied family names. 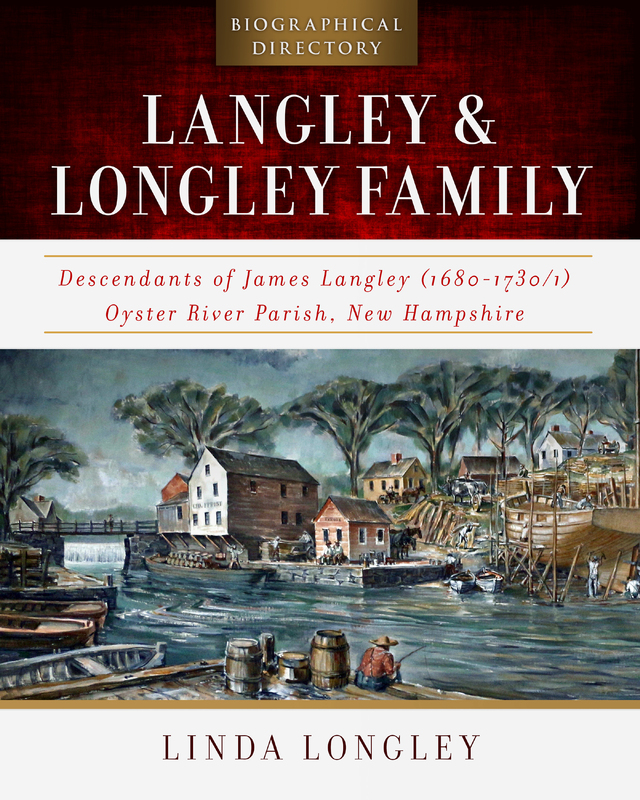 With the Langley & Longley Family's origins rooted squarely in Colonial America, over time they participated in the persistent Wars, the Industrial Revolution, and the expansion to the Western Territories.